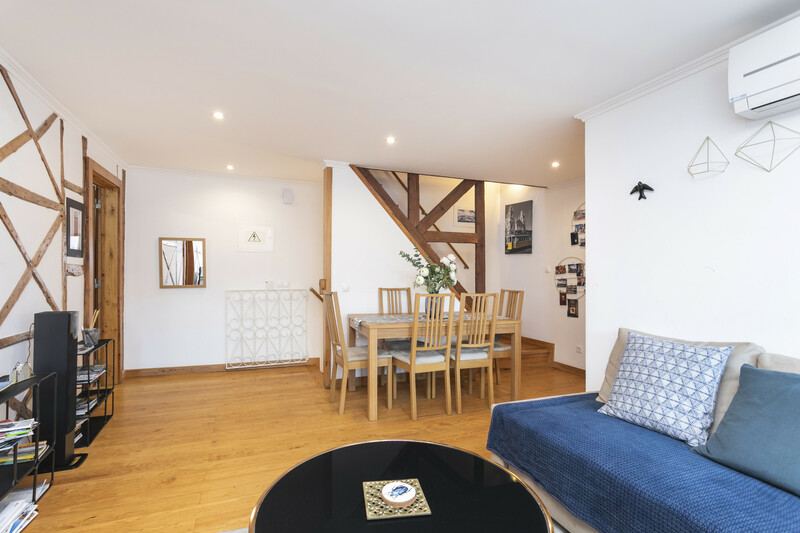 This apartment is in the heart of Alfama, the most typical neighborhood in Lisbon. Near the apartment, you can find Fado Museum and also a square with lots of restaurants where you can have dinner and listen to our typical Portuguese music, Fado, with the best performers. Fully rehabilitated, it keeps the old way but with a modern decoration. Wonderful place for vacations and discover our wonderful city. Two bedrooms, one with double bed, one with single bed and a sofa bed gives the apartment the capacity for 6 persons. TV, 2nd floor, iron, internet (Wi-Fi), hair dryer, 75 m² property, air conditioning (hot/cold), air conditioning throughout the house.